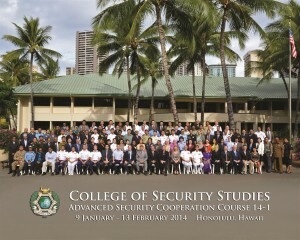 Attending the regional security course were participants from: Australia, Bangladesh, Brunei, Cambodia, China, Fiji, Hong Kong, India, Indonesia, Japan, Kiribati, Laos, Lebanon, Malaysia, Maldives, Micronesia, Mongolia, Myanmar, Nauru, Nepal, Pakistan, Palau, Papua New Guinea, Philippines, Republic of Korea, Sri Lanka, Thailand, Timor-Leste, Tuvalu, United States, Vanuatu, and Vietnam. The five-week Executive Course focus is on building relationships among mid-career leaders and decision makers within the region. Its curriculum emphasizes the non-war fighting aspects of security and international relations, and challenges Fellows to develop regional and transnational perspectives. Security is examined as a comprehensive mix of political, economic, social, military, diplomatic, information and ecological dimensions. 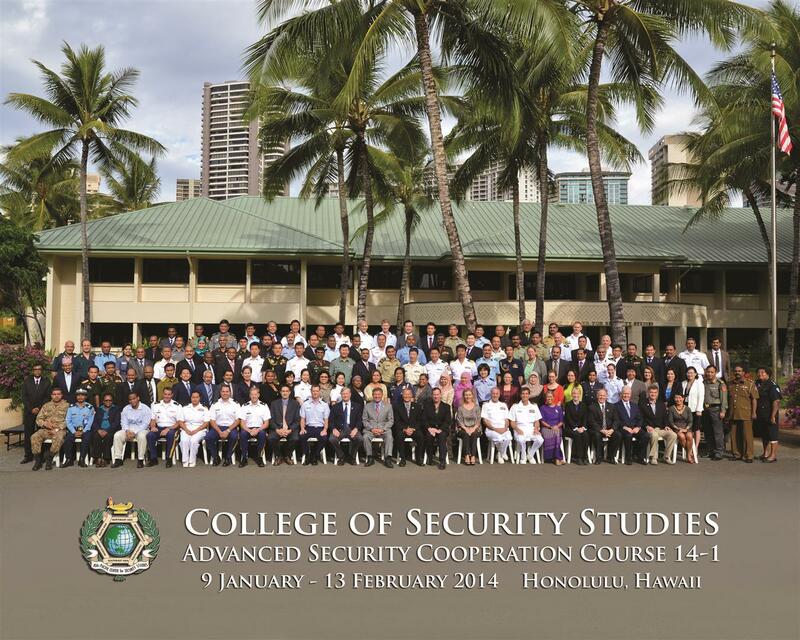 Since opening in 1995, APCSS has had participants from 104 countries and territories, and four international organizations attend courses at the Center for a total of 7,966 alumni.